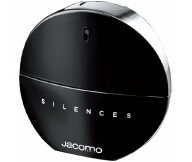 Silences by Jacomo is a Floral Green fragrance for women. 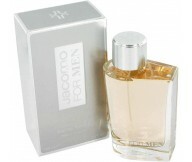 Top notes are orange blossom,..
Jacomo Silver by Jacomo is fragrance for men. 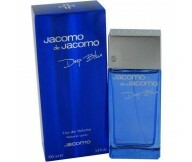 Top Notes: Cedrat, Pineapple Leaves and Pe..
Jacomo de Jacomo Deep Blue by Jacomo is fragrance for men. The fragrance contains some powerful w..
Aura is the perfume presented in the beginning of the new millennium. 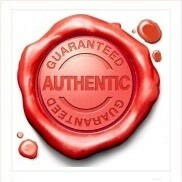 It is dedicated to a seduct..
Jacomo has its origins in the late 1960s. American James Kaplan and Frenchman Gerard Courtin met in New York, on 5th Avenue. Both men had a great love for art, music and design. Pooling their common interests, they created the fashion brand “Jacomo” (taking the "Ja" from James, the "Co" from Courtin, and the "Mo" being added to give the name a musical touch) and opened a boutique where they offered their designs to the chic trendsetters of New York. Parfums Jacomo was acquired by French company Sarbec Cosmetics in 1995. Sarbec is taking the Jacomo brand in a different direction in the second decade of the 21st century. The brand's classic fragrances from the 1970s through the early 2000s are still in production, but a new line of luxury fragrances was launched in 2010 with the Art Collection series. Inspired by pieces in the collection of the Jacomo founders, and taking their names from number of the piece in the collection, the Art Collection fragrances are re-introducing the brand to a new and modern perfume audience. The "pair" concept continues in 2011, with new sleek modern packaging and trendy scents of the It's Me collection for Men and Women. Designer Jacomo has 27 perfumes in our fragrance base. The earliest edition was created in 1971 and the newest is from 2014. Jacomo fragrances were made in collaboration with perfumers Henri Bergia, Edouard Flechier, Christian Mathieu, Bernard Ellena, Marie-Aude Couture-Bluche, Mathilde Bijaoui, Daniel Moliere, Christine Nagel, Gerard Goupy, Jean-Claude Niel and Serge Majoullier.